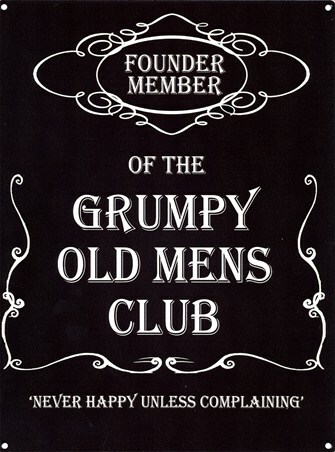 Humour Tin Sign: Humour Tin Sign: If your house is home to a grumpy old man who likes nothing better than to complain and be miserable on a daily basis, the right thing to do is to warn any unknowing visitors of the grumpiness that lies ahead and hang this tin sign featuring the quote 'Warning, Grumpy Old Man Ahead' on your walls! Decorated in vibrant colours such as red and blue, the sign is not only sure to raise a few giggles but also brighten up your interior, counteracting some of the negative vibes floating around! 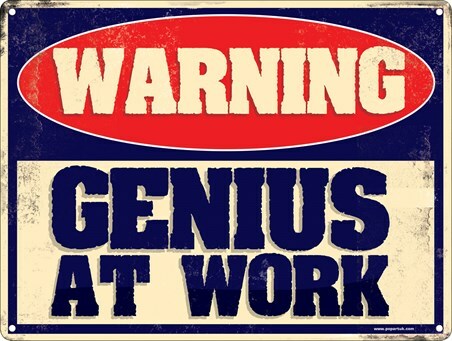 High quality, framed Warning! 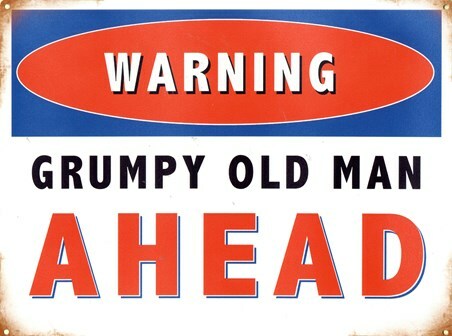 Grumpy Old Man Ahead, Humorous Quotes tin sign with a bespoke frame by our custom framing service.